Fourteen-year-old Lily Owens lost her beloved mother when she was only four—under tragic circumstances clouded by time and secrecy. She later found a fiercely protective "stand-in," her abusive father's outspoken housekeeper, Rosaleen. Ignoring differences in age and color—and the fact that racial hatred seethed during the summer of 1964 in rural South Carolina—these two unlikely companions set off on a seemingly aimless pilgrimage that ends at the home of a trio of eccentric bee-keeping black sisters. Lily tells her remarkable tale of longing and love in an idiom and accent heard far south of the Mason-Dixon Line, but the lessons learned during her odyssey into the world of bees and their "secret life" are universal and everlasting. In her debut novel, Sue Monk Kidd proves herself adept both at storytelling and at creating characters who are simultaneously outlandish and credible—in other words, worthy to join the ranks of such first-rate Southern stylists as Kaye Gibbons, Anne Rivers Siddons, and Ellen Gilchrist. SUE MONK KIDD is the author of two memoirs, The Dance of the Dissident Daughter and When the Heart Waits. 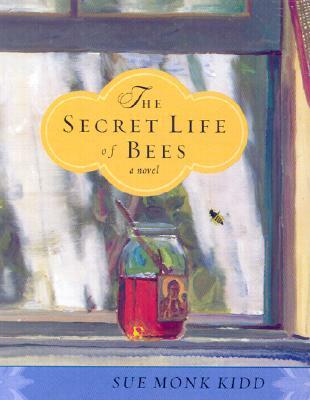 She received a Poets and Writers Award for the story that inspired novel The Secret Life of Bees. Her fiction has appeared in several literary journals and two of her stories—including an excerpt from The Secret Life of Bees—were selected as notable stories in Best American Short Stories. She currently lives in South Carolina. JENNA LAMIA has one countless awards for her narration of such audiobooks as The Girl with the Pearl Earring, Witness, and The Secret Life of Bees. ... vibrant, sassy, touching and altogether wonderful.... This book is built for sound. Jenna Lamia is my new favorite audiobook narrator.